If you are having trouble logging in to your Email, PowerSchool, Canvas and Finalsite, your SI Network Password may have expired. Click here to update your password. When you update your SI Network Password, you Google password will automatically be updated. However, if you update your password directly through Google, it will not automatically update your SI Network Password. 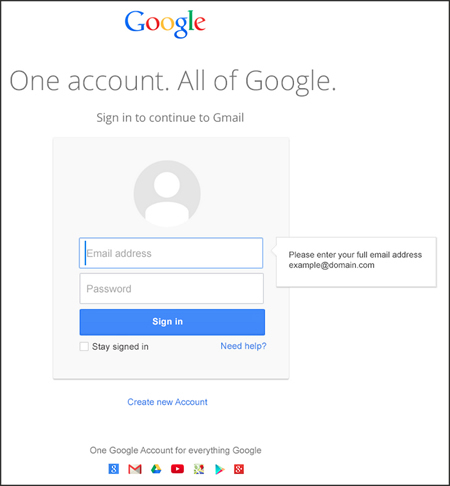 Google has updated their login screen for increased security. If the login screen looks like the screenshot below, you will need to enter your full email address (including @siprep.org) when logging-in. If you have any questions about accessing the wireless network, email, Finalsite or Canvas, please stop by the Tech Office. For Naviance/Family Connection, please contact your conselor.